Unicode Consortium responds to criticism of apparent ethnic homogeneity of cartoon pictograms used in text messages. The notoriously white collection of emoji characters are about to be diversified. The Unicode Consortium, an industry body devoted to the development and promotion of software standards, has proposed a draft plan to add a range of five skin tone options for human emoji characters. Emoji are cartoon-like pictograms often sent via text messages to convey emotion and humor. The available tones are based on the Fitzpatrick scale, a standardised method of classifying human skin color used by dermatologists. Users will be able to change the skin tone of all human characters and body parts, from the dancing woman to the praying hands. The skin tone modifier will affect both characters in an image. So adding a brown swatch to the kissing couple would make both the man and the woman brown. To correct this, if desired, the consortium suggests using a combination of single and multi-person emojis to get the point across. If the skin tone modifier isn’t supported by a device, the reader will receive the character and a color swatch so the intended meaning is still conveyed. If no color modifier is selected for a human emoji, the group recommends that the character default to a non-realistic skin tone, such as the yellow used for the smiley faces. The plan is still in a draft phase, and there is no timetable for when the changes will be rolled out. Users have long decried the almost uniformly white emojis available. 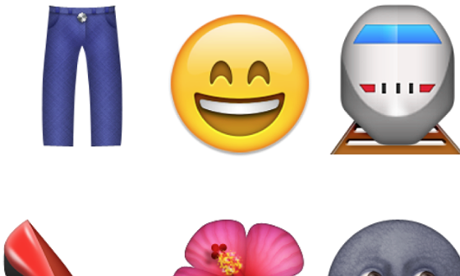 “If you look at Apple’s Emoji keyboard, what do you see? Two different camels. A smiling turd. Every phase of the moon. But of the more than 800 Emojis, the only two resembling people of color are a guy who looks vaguely Asian and another in a turban,” read a petition posted to DoSomething.org that called on Apple to diversify the emojis available on its keyboard. Earlier this year, Apple responded, telling MTV that it too wanted emoji characters that reflected the wider world.